Curious about the real impact of Impact Journalism Day? Check out our latest evaluation! Everyday, unknown women and men are coming up with positive innovations, and local answers to global issues. Last year, on June 24th, 50 leading newspapers from around the globe got together to shed light and consequently amplify these initiatives. 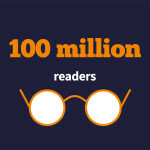 It is time to measure the power of these stories of change. Based on the projects that were featured in Impact Journalism Day 2017, this impact study was conducted ex post by Sparknews via phone interviews and questionnaires from December 2017 to January 2018. 31 project leaders were interviewed and gave us keys to measure the impact of their media exposure from visibility to replication. Each of the 57 stories highlighted as part of Impact Journalism Day was selected from an original pool of more than 1000 projects. The main selection criteria are the proven, measurable impact, the innovative approach, the replicability of the solution and the inspiring story behind the project. These are the feedback of our survey of the IJD 2014, 2015, 2016 & 2017 project leaders. We asked them whether they think the publication of Impact Journalism Day articles had an impact on their project, and more specifically, what kind of impact. Check out our 2015 and 2016 evaluation! After IJD, they received interest from different parties to meet and explore investment opportunities. International media coverage and recognition have helped build local brand equity and product/service credibility. They have expanded operations to Kenya, replicating their best business practices with success: “Print media is a powerful force that most people, especially in places like Uganda, value and respect. 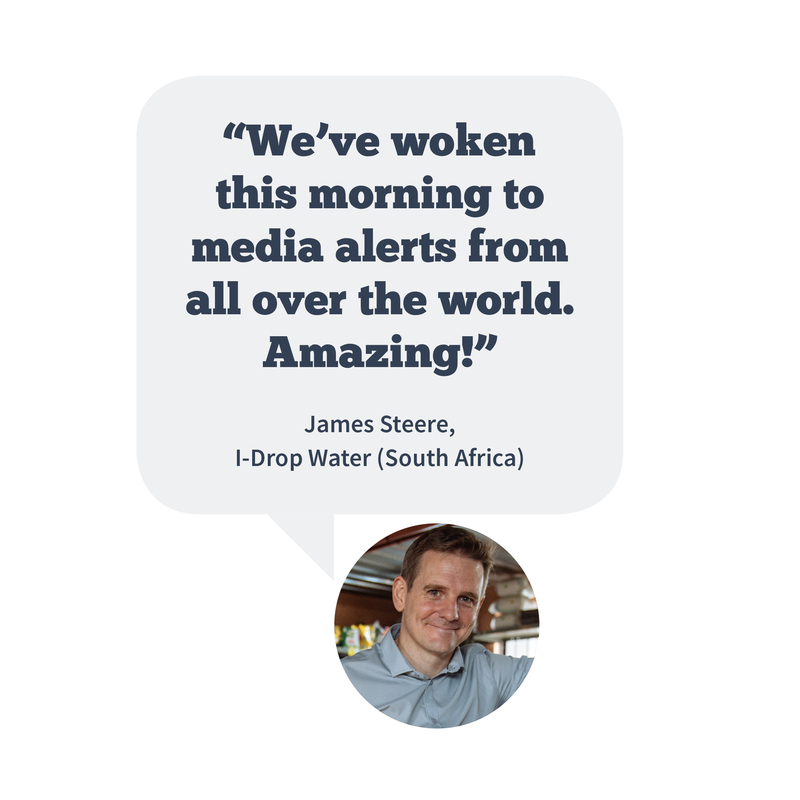 Being featured prominently in Uganda’s newspaper (Daily Monitor) showed we were a business customers can rely on,” said Mark Turgesen of Impact Water. Thanks to IJD, Bio Phyto Collines was contacted by a group of German investors called “GreenTec Capital Partners” who established a 500,000 USD investment in the startup for the next 12-24 months that has allowed them to set up a distribution network in the Ivory Coast. Since IJD, they have evolved considerably, rising their productivity immensely and winning three prestigious awards: the Best innovating enter- prise of Africa from Hub Africa in Morocco, the Agri Tech - ARA 2017 award and the Best young francophone entrepreneur prize from the International Francophone Organisation (OIF). They also consequently met with the president of Bénin Pa- trice Talon. Empowering them to feel shapes on touch screen devices, thus giving them access to lear- ning, educating, playing, and communicating. 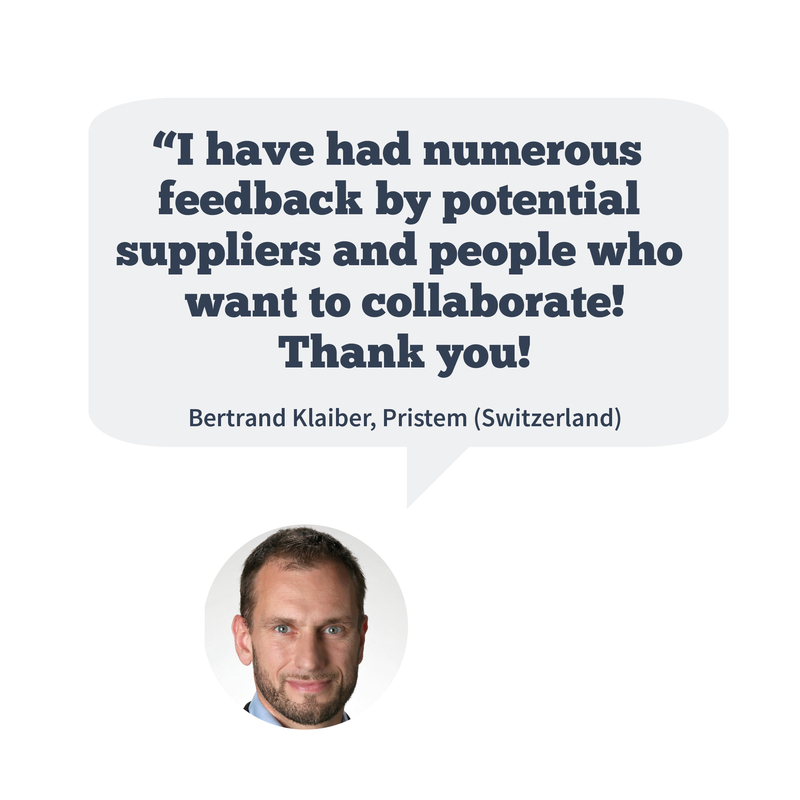 The project received a lot of positive feedback. Me- dia coverage proved very useful for target communication in Austria, France, Germany, Slovenia, Russia, US and the UK. A reader from Le Figaro, Dr. Evgen Bavčar, a blind photographer working for the CNRS (French National Center for Scientific Research) since 1976, made it possible for Feelif to participate in the NTIC (New Technology of Information and Communica- tion) for the Visually Impaired Conference in Paris as the only foreign speaker. Added credibility allowed them to win best social innovation in the European Social Innovation Compe- tition 2017. They have begun pre-sales and will deliver a final product starting March 15th, 2018. Go Energyless received a surge in sales and new clients across the world thanks to its coverage in IJD. The founder, Raowia Lamhar, was contacted by NGOs in Asia and Africa who wanted to bring the project to their respective countries. This included Bangladeshi and Moroccan organizations, which offered to fund a feasibility study to implement the project in other regions. 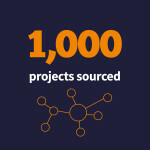 The growth in visibility led to many new connections: university students willing to provide R&D supports, intermediaries hoping to help put the project in touch with contacts in Canada and the US, and an interested venture capital fund. 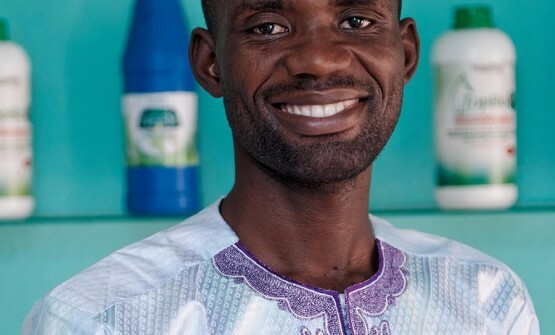 All of this growth has allowed Go Energyless to take on a third employee as they set up a new product facility in Marrakesh. 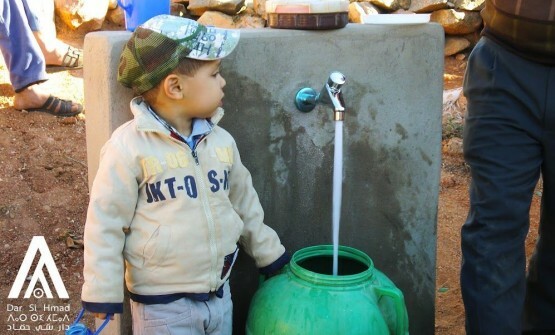 For the first time in North Africa, an innovative project collects water particles in fog and filters it into clean water, providing an the entire population with safe drinking water. The media coverage enabled by Sparknews largely contributed to Dar Si Hmad’s expansion in other regions of Morocco. Since IJD, the NGO recorded a huge increase in the number of publications abroad. The media coverage played a great role in connecting Dar Si Hmad to new partners and donors. “We were contacted by a South-African philanthropist who had read about us thanks to IJD. He came to visit our center in November 2015 and made a huge donation. We think that he plans to replicate our technology in South Africa” said Marouane Smaili, office manager of Dar Si Hmad. Rémy Lucas has discovered a way to produce ecological, natural plastic using brown Algae. Algopack is 100% biodegradable and its production requires no use of petrol, no pesticides, or precious farmland. 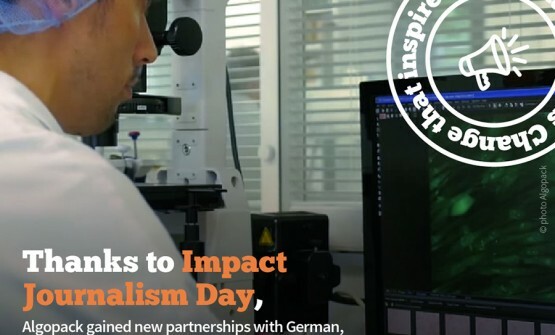 Impact Journalism Day had a tremendous impact on the growth of the Breton company. 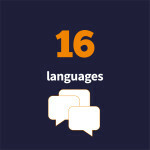 The founder Rémy Lucas estimates that 80% of Algopack’s global visibility is due to IJD. This international coverage enabled the company to reach major investors and industrial partners: Algopack signed big contracts worldwide with car manufacturers, phone companies and food packaging firms. Mano Amiga Academy, a non-profit school offers underprivileged children access to international quality education while letting the mothers run the school's cafeteria as part of their efforts to provide livelihood to their families. Institutional Development Manager Nina Liganor told us that IJD was great for Mano Amiga because the coverage enabled the school to become widely known in the Philippines. She said that it also helped to increase awareness of the problem. She told us that the academy gained a significant number of volunteers following publication (more than half of those they had before June 20th), and that Mano Amiga saw increased activity on its social media accounts (they gained many new followers and messages on Facebook). Donations also noticeably increased (she doesn't know the exact statistics). Blood Donors Network is a web and mobile based application for hospitals, health centres and Red Cross that provides direct, immediate access to compatible blood types from its network of 100% voluntary non-remunerated donors. 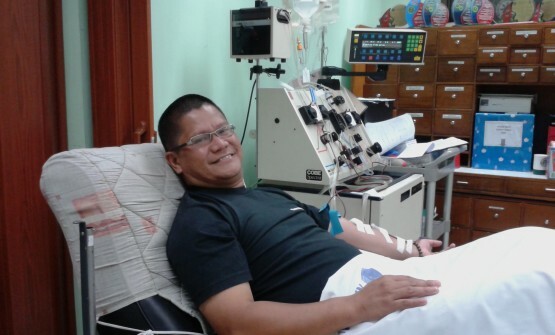 The CEO and Founder of Blood Donors Network, Joel Barquez told us that the media coverage offered by IJD had an important impact on his initiative. Various organizations contacted him to know more about his project. He received a lot of congratulatory messages from people in the Philippines but also from other countries, such as Kenya. He said that the initiative’s social networks saw an increase in activity following IJD: “To sum up, from the June 20th posting until today, it gathered 186 likes on Facebook - which is quite significant based on our historical data. Our web account gathered 110 new sign-ups.” He also said IJD created more awareness on the Blood Donors issue in the Philippines. 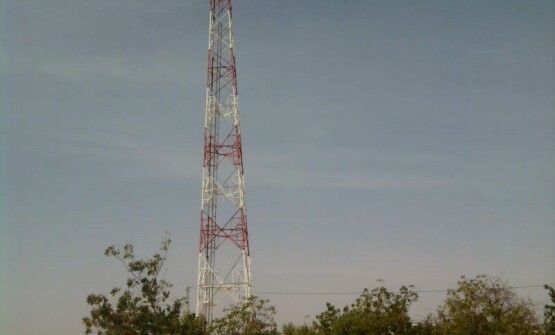 A team of researchers has developed a technique to measure rainfall, based on information gathered by the mobile operators in the signal’s transmission between two pylons. Following IJD, Professor Zougmoré and his team were contacted by new potential partners: AGRHYMET in Niamey; SMHI in Sweden, and UICN. Moreover, his team was contacted by researchers from Ivory Coast, Niger, Mali, Ghana and Benin - interested in developing the Rain Cell project in their respective countries. Rain Cell won the 2015 Energy - Environment - Climate Public Research Award organized by the French Environment and Energy Management Agency (ADEME). The project also took part in the World Efficiency Forum, on the 13th of October 2015 in Paris. Media coverage thanks to IJD, along with these prizes received in 2015 offered Rain Cell strong recognition; which encouraged the team and pushes them forward towards their goal of making the new method they developed operational. An association operating in the area of waste collection and recycling to fund activities for the hearing impaired, handicapped and those suffering social hardship. Father Jean-Marie Chami was very enthusiastic about the direct impact that IJD had on his project. Since publication, he’s been contacted by Columbia University for an interview, and congratulated by the archbishop of Jerusalem. During the 3 days after IJD, the association received more than 400 calls, the majority from within Lebanon. He has gained a lot of contacts in Lebanon, especially people offering him material for recycling. His client base has increased significantly and the association now needs more money to develop the project. It started out twelve years ago with a sorting center at Father Jean-Marie Chami’s office inside his church, and he now needs to buy pick-ups to be able to collect all the recycling material that people want to give to his association. He thinks that the IJD article heightened awareness about the importance of the recycling issue. 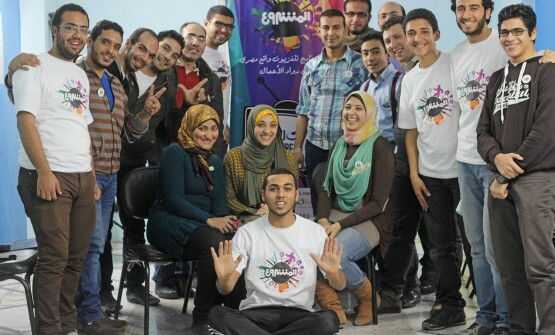 The association is currently working on replicating the project in Egypt. 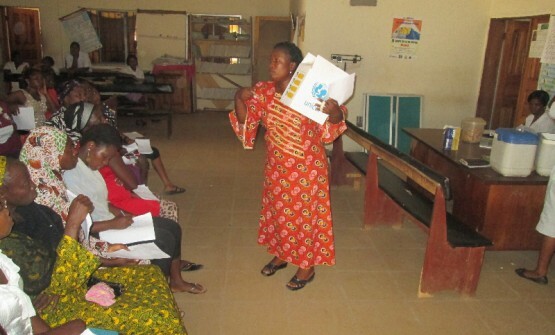 SaferMom aims at reducing maternal and infant mortality in slums in Nigeria and Africa. SaferMom provides vital health information for women and mothers, using SMS and voice calls in local languages ​​at low cost. The team at SaferMom have been following Sparknews for 2 years because according to them, IJD is a great initiative for social entrepreneurs. The start up’s founder Adeloye Olanrewaju told us that being published in the Nation was an amazing and unique opportunity, because it would normally cost more than $7,000 to get a product featured in a newspaper like The Nation (one of Nigeria's most widely read newspapers). He told us that the publicity was great for them: thanks to IJD, more people know about their services. Indeed, they've also been working hard to leverage such publicity for expansion, raising funds and scaling nation wide in the shortest possible time. The team received an email from a BBC correspondent based in Nigeria who wanted to know more about the project. They also got some interviews from local online newspapers. Adeloye told us that Sparknews is a blessing to the world and sent his thanks to our team. His message: You're part of our story. Keep innovating. A group of disabled people in Choluteca, in the south of Honduras changed their tragedy into an opportunity to help others. They first learnt to build their own prosthetic legs, then helped to start production for others. They are now experts in the matter and are producing high quality work that has changed lives. The director of the Vida Nueva Rehabilitation Foundation Reina Estrada saw the article published by El Heraldo in Honduras and told me it had an enormous impact on the Foundation. The number of patients significantly increased: between May and June 2015, 9 prostheses and orthotics were made, between July and August 2015, 28 prostheses and orthotics were produced. This represents an increase of 211% following IJD. They also received a lot of messages, comments and positive feedback from Honduran people.ople. Eaternity has developed an innovative cloud-solution that tracks the CO2-footprint of food in real-time. Developed for restaurants, the tool breaks down the environmental impact of everyday meals, raising awareness of employees and consumers. Restaurants that use Eaternity differentiate themselves in the market while satisfying the increasing demand for healthy and sustainable food. 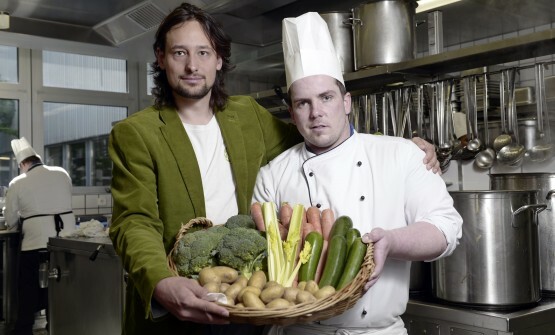 Manuel Klarmann, CEO of Eaternity, was very grateful because it was the first time that international media published articles about his company. A representative of «NTV Broadcasting Company» (a Russian TV Channel) asked him to be part of a TV program in Russia after she read about Eaternity in Le Courrier de Russie. He also noticed a significant increase in his social networks and website activity. Women are underrepresented in science, technology, engineering and mathematics (STEM) professions. This program aims at encouraging 10 to 15 year old girls, especially those with low-income and at-risk backgrounds, to pursue careers in the fields. Over 3 000 girls were supported in 2014. 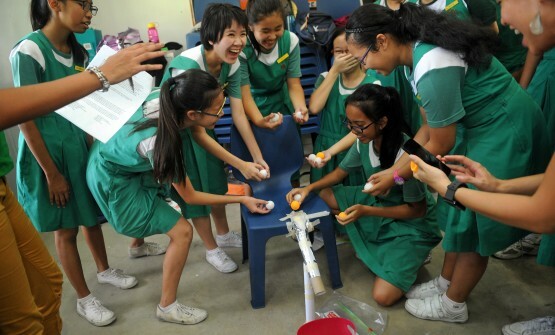 Girls2Pioneers organiser Mrinalini Venkatachalam was very excited about the impact that IJD had on her project: Women in STEM has expanded in Singapore, the number of parents and volunteers who want to be part of the campaign has increased and she noticed much more traffic on their website. 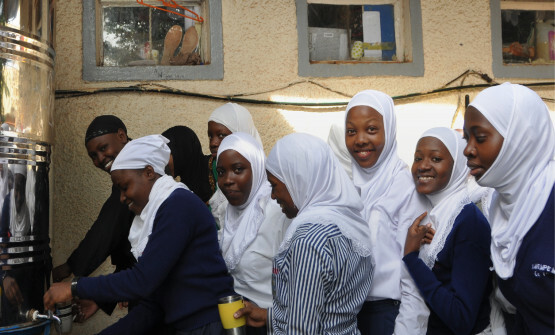 IJD also opened many doors for their activities: an organization called Discovering Without Borders read the article and contacted Girls2Pioneers to become a partner. Accenture, who came to them after seeing the article, has been actively involved in their employer engagement programmes and is considering sponsoring Girls2Pioneers next year. What if reality TV could provide the key to the entrepreneurs of tomorrow ? In Egypt, where a majority of young people are unemployed, David Elliot with his daughter Anna Elliot have created the first reality TV program that rewards the courage, dedication and creativity of social entrepreneurs while teaching them the skills they need to create their own employment and run a successful business. Since Impact Journalism Day, David Elliot -- who is a member of the board of Bamyan Media -- reports that the group has expanded from 3 to 21 countries where he expects to develop the TV show. He has received offers from France, Italy, the Middle East and Latin America. He is amazed by all the positive opportunities that IJD created for his project. 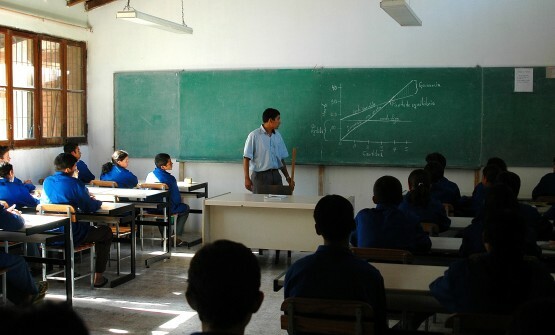 San Francisco Agricultural School in Paraguay has set up an on-campus enterprise and provides high-quality, affordable, professionally orientated education. 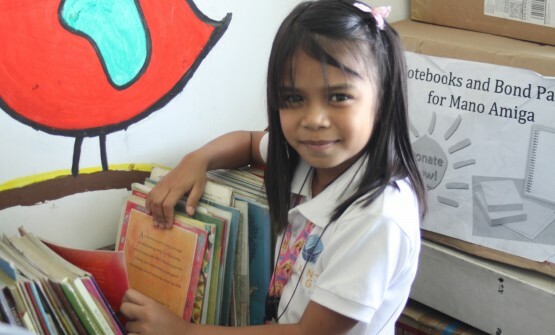 Not only is the school financially independent, but children from all types of backgrounds can complete their academic education, while contributing to financing their education. Martin Burt, founder of Fundación Paraguaya which developed the Financially Sustainable Schools model, was extremely enthusiastic about the power of Impact Journalism Day and the impact it had on his project. His dream is to expand from 35 countries to 100 countries in 5 years and he is convinced that Impact Journalism Day has significantly helped him move towards this objective. Barefoot College trains illiterate mothers and grandmothers from rural communities in developing countries to become solar engineers. They return home to their communities where they install and maintain solar panels and lighting systems, bringing light to their communities and changing the lives of those around them. The NGO Barefoot College attributes an acceleration in its development to Impact Journalism Day. The organisation saw an increase in donations of over 80% from May to June 2015 and its Facebook page grew by over 20,000 likes during the two months that followed IJD. The NGO also received more volunteer offers. Barefoot College has just finalized the opening of its Solar Training Center in Zanzibar and aims to expand further in the future. Illegal deforestation ravages hectares of tropical forests everyday, and the damage often goes undetected until it shows up on satellite images. 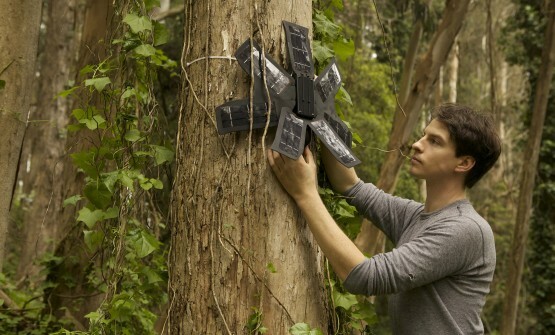 Project created by Topher White, Rainforest Connection has come up with an ingenious system for detecting and localising the sound of chainsaw cutters using revycled and adapted phones, allowing rainforest guards to catch illegal loggers red handed. When the article was righting, Topher White was leading his projects in Amazonie. Founder and CEO of Rainforest Connection Topher White told us that Impact Journalism Day had an enormous impact on his project. He gained new opportunities for expansion in the Philippines thanks to the media coverage. He aims to continue expanding into other countries in the future. Mexico City, one of the world's most populated metropolitan areas, has to cope with increasing problems in terms of water supply. 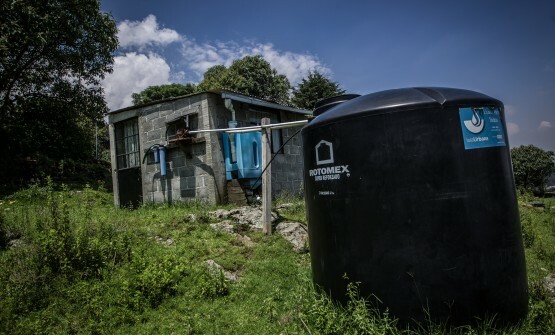 This project trains plumbers to install rainwater harvesting systems, to the benefit of marginalized communities such as those living in the "Tlaplan” district. The project leaders were contacted by people from Mexico and from Switzerland. Various public administrations contacted Isla Urbana requesting to install their devices in their communities. Being published in Excelsior was a great opportunity for Isla Urbana. 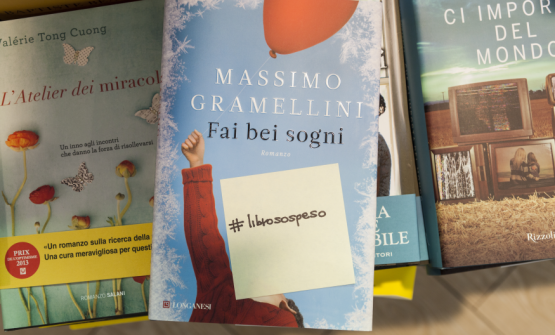 While reflecting on low readership levels in Italy, bookstore founder Michele Gentile was inspired to start the “Libro Sospeso” movement in 2014. Influenced by the Neapolitan custom whereby a person who is feeling especially happy buys a coffee for the next person to enter the bar, Gentile decided to apply the concept to books. Customers in book shops making a purchase for themselves can then purchase a book as a donation for the next person who comes in, writing a dedication on a Post-it note. A simple act of hospitality and generosity that encourages people to share the books that inspire them. The idea caught on via social media, and has been taken up by bookstores in other towns and cities around Italy. The embassies of both the UK and Germany sent Michele Gentile, founder of Libro Sospeso, free books. The IJD article had been published in both Le Monde and The Sunday Times. Many people contacted Michele to congratulate him; he received messages from Italy, France and the UK. Singapore-based non-profit NDI aims to end energy poverty through women’s empowerment: the organisation provides training to rural women in Indonesia, enabling them to become solar lamp entrepreneurs. 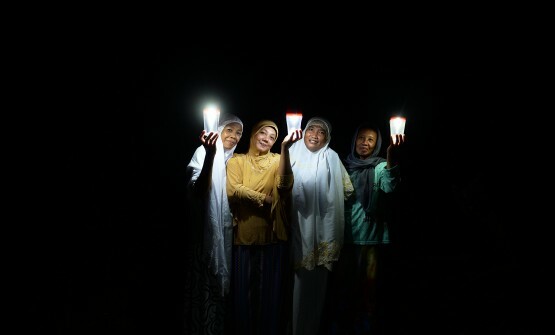 These women are fondly known as Ibu Rumah Terang - the Mothers of Light - as they light up one household at a time. Since 2010, the Mothers of Light have sold 3,000 solar lamps and over 12,000 people in remote communities in Indonesia have benefitted. The publication of the article on the Solar Lamp initiative in the Straits Times, Singapore was a huge advertisement for the project and had a strong impact. Nearly 1000 lamps were sold after publication and around 25 people contacted the organisation asking to include Solar Lamp in their own projects. 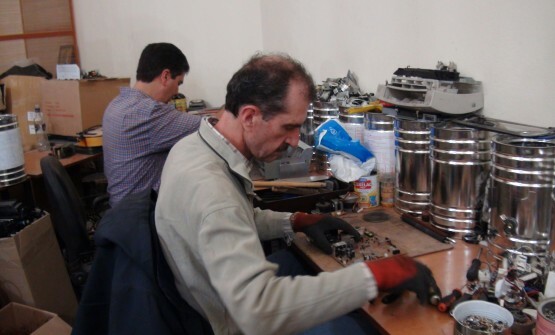 For example, a couple bought 12 lamps for their project based in a monastery. It's a huge source of pride for the team to have had an impact on other initiatives that they didn’t know about. Partnerships are in progress with NGOs and the founder was invited to Japan to present her project thanks to Asahi Shinbumto. 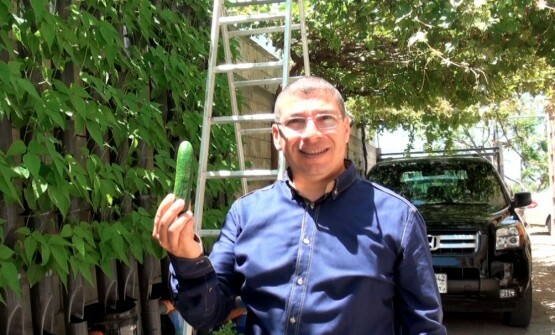 In South Lebanon, Raef Chabab grows his lettuce using fish waste as a fertilizer. Aquaponics is a passion, born of a desire to produce fruit and vegetables with fewer pesticides in a country where regulation on the use of pesticides is minimal. Many people contacted Mr Chabab asking to visit his installation, notably the mayor of his city, journalists and a university professor. 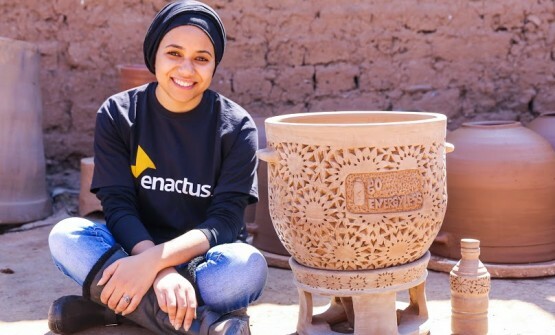 Together with a dozen volunteers, Chabab decided to scale up the project and to open a model farm. The field was bought by volunteers because the team didn’t want to collaborate with any investors in favour of chemical production. The team wants the new farm to become a place where people can learn about aquaponics, and where people are welcome to come and pick fruit… A website is being set up. Young folks helping older folks to find their way in the digital world. Many elderly people have never used the Internet, because it just seemed too complicated to them. Via this Austrian “qualtitätszeit” (quality time) project, young people looking for a job assume the role of trainers, opening up the digital world to their grandparents’ generation. Many elderly people contacted the association asking to join the program after having read the article in Der Standard. Two institutions working with young people contacted Quality Time proposing to work together. Partnerships have been signed. 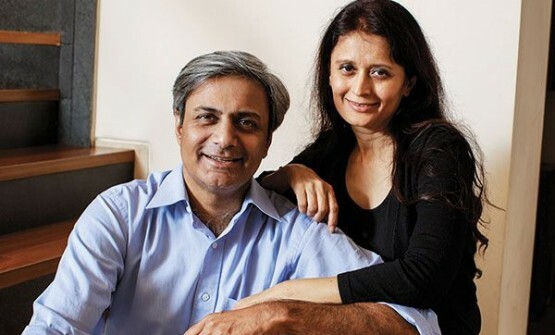 In India, where petty corruption is endemic, the website ipaidabribe.com invites citizens to share their stories of bribery, upholding the belief that awareness and transparency can help to change the system. 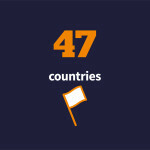 People from all over the world contacted the organisation, especially people from countries where the IJD articles were published. People called to offer to help replicate the project in their country. After the publication in Excelsior, Mexico, someone proposed to develop the website in Mexico. A Mexican version of the website will soon be launched.